The Science Friday blog posts and AWS seminars often feature illustrations designed to help convey or clarify a scientific concept or phenomena. 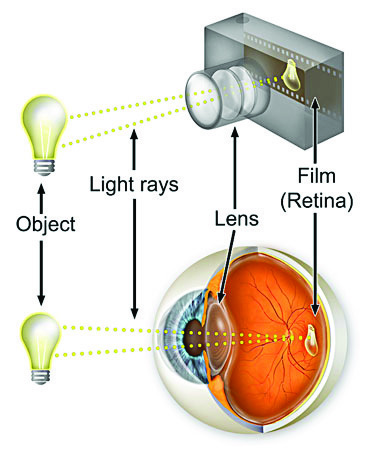 For example, when discussing the effects of the ultraviolet light emitted from an electric arc, we might use a diagram like this one to explain how the eye works. Of course, no one is going to confuse this illustration for the real thing. We are confident of its accuracy because we know that scientists have been investigating the anatomy and workings of mammalian eyes for a very long time. But what happens when we’re talking about things we can’t see? Things like electromagnetic waves or atoms? This is where we have to be careful not to confuse the illustration for the real thing. For example, atoms are often displayed as a series of circles and concentric rings. The circles in the nucleus of the atom represent positively charged neutrons and neutral neutrons. The smaller circles outside the nucleus represent negatively charged electrons. The electrons are held in orbit around the nucleus because opposite charges attract. That is, the negatively charged electrons are attracted to the positively charged protons in the nucleus the way that the opposite poles of a magnet are attracted to each other. Electrons near the nucleus have less energy than those farther away. 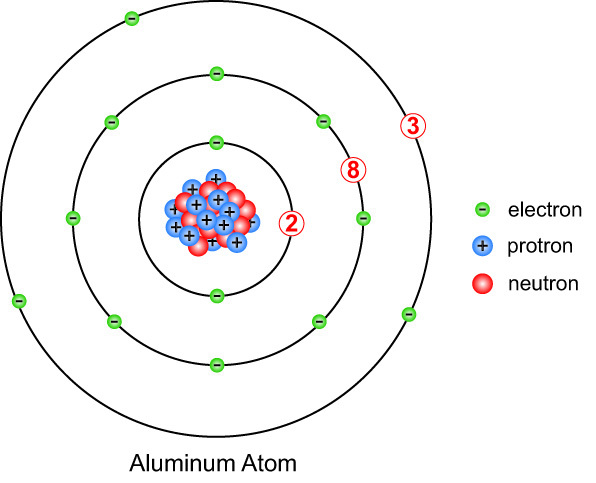 For instance in this simple model of an aluminum atom, the 8 electrons in the second shell possess more energy than the 2 electrons in the first shell because they are farther from the nucleus. The three electrons in the third shell contain even more energy because they are farther from the nucleus than the 8 electrons in the second shell. Why is this? 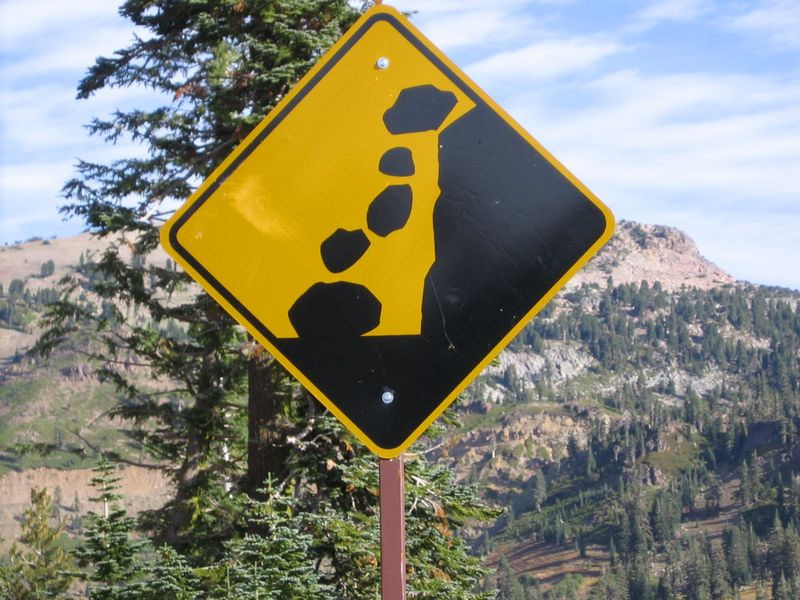 Well, think of three boulders. The first is high up on a cliff, the second is on a similar cliff closer to the ground, and the third is on an even lower cliff within arm’s reach of the canyon floor. 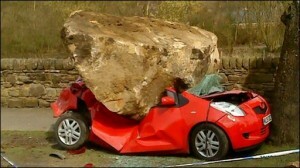 Which of boulders will do more damage if it were to fall to the ground and strike a car? Yes, the boulder farther up the mountainside has more potential energy than the boulders on the lower cliffs because it has farther to go to reach its point of lowest energy. For a boulder, the lowest point of energy is the ground. For an electron, the lowest possible state of energy is as near to the nucleus as possible. That’s why electrons occupy all the available spaces in the inner shells before filling up the shells farther away. The main difference between the boulders and the electrons is the force that draws them to their lowest state of energy. The boulders are drawn to their lowest possible state of energy by gravity, and the negatively-charged electrons are drawn to their lowest possible state of energy by their attraction to the positively charged protons in the nucleus. This “circular” conception of an atom helps to explain the basic components of an atom as wells as a series of phenomena that mathematical calculations and real life experimentation have proven true. For instance, we know that metals glow and change color when you heat them. The precise temperatures, wavelengths of light and amounts of energy involved have been precisely calculated by observation, experimentation and mathematical formulations. However, this model allows us to convey the gist of what happens when you heat a metal without having to go into more complicated concepts. Simply put, the electrons in the atoms of the metal absorb the heat and jump to a higher shell. Of course, electrons (and boulders) are always eager to be in the lowest possible state of energy, so the excited electrons almost immediately jump back down to their original energy level and release the energy they absorbed in the form of light. This whole process is called incandescence, the emission of light by a solid that has been heated until it glows, or radiates light—and it’s precisely what makes a metal glow and change color when you heat it. Here’s the catch. 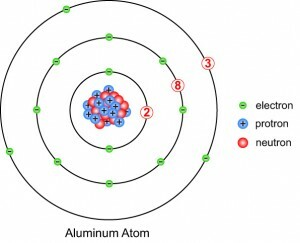 An atom doesn’t look like this. Electrons do whiz about a central nucleus that contains protons but atomic particles, like protons, neutrons and electrons probably look more like dancing points of energy than the small solid circles used to depict them in science books. Depicting them as spheres simply helps us wrap our minds around what is going on inside individual atoms and between the atoms of different elements. Electrons do inhabit defined regions around the nucleus but they certainly don’t orbit the nucleus the way that planets orbit the sun. They actually flit about the nucleus at about 5 million miles per hour! Even more amazing is the fact that it’s impossible to know both the speed and position of an electron at any point in time. Electrons absorb the energy in the wave of light used to view them so they change position every time you observe them. Because of this we can’t pin down exactly where a given electron will be at any particular moment. Instead, we have to rely on the laws of probability and statistics to work out where an electron is most likely to be. This conception of the atom calls for another model, one that depicts electrons as a kind of cloud. This cloud is made up of a bunch of snapshots that shows where the electron is most likely to be from one moment to the next. 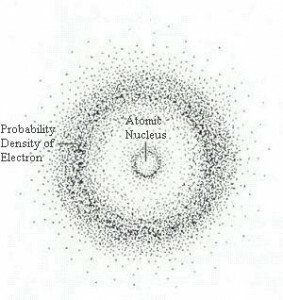 This illustration shows the probability cloud for the electron of a hydrogen atom. If we were to look at a hydrogen atom right now, its single electron has a high probability of being in one of the locations represented by one of the dots. If we look at it a moment later its electron has a high probability of being in a different location, represented by a different dot. And if we look at it an instant later, the electron might be in yet another location represented by yet another dot. After many observations we can tell that at any given moment the electron is most likely to be in the region where our multiple observations have created a dense cloud of dots. 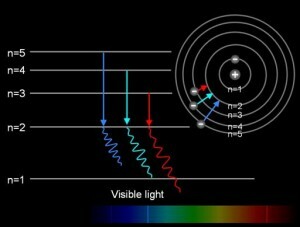 In this case hydrogen’s single electron is more likely to be found in a circular region near the nucleus. This tale of two models has a simple moral. The models we use to depict atoms and their interactions are visual aids to help us understand an incredibly diminutive quantum world whose inhabitants don’t play by the same rules as objects in the larger everyday world. We don’t know exactly what subatomic particles look like, but our representations of them are based on mathematical calculations that have been proven correct through actual observation and experimentation. In other words, protons and neutrons may not be circular and electrons are definitely not little spheres trapped in concentric circles or clusters of tiny dots, but thinking of them this way helps us to understand what actually happens in the real world.